Acer Veriton M6620G, Acer’s newest commercial desktop PC is expected to draw interest among corporate customers, government agencies and educational institutions with its advanced features including Acer Proshield Security and Acer Office Manager that combine security and manageability features within a single user interface. Acer Proshield includes an encrypted hidden drive for confidential files, a file shredder to wipe sensitive material from the system, and a BIOS import and export tool that streamlines system management while Acer Office Manager allows organization to deploy security policies, monitor IT assets, and schedule maintenance tasks in one simple manageability package. And through Acer’s One-Button Recovery (OBR) function backing up and/or restoring a PC’s data is now a breeze. Also, it comes with Intel vPro with Active Management Technology (AMT) 7.0, which enables in-house or outsourced IT to easily manage software and hardware assets, troubleshoot issues remotely and guard against software attacks. Acer eLock Management, locks removable data devices, optical drives and other interfaces with a password. Acer eSettings Management offers complete system control: view system information; change boot options; monitor important system components. Acer PowerSaver allows setup of ideal power level for energy usage: low power for energy-saving and normal use, and high power for great performance. SmartBoot for automatically loading frequently used programs in the system tray at start-up. 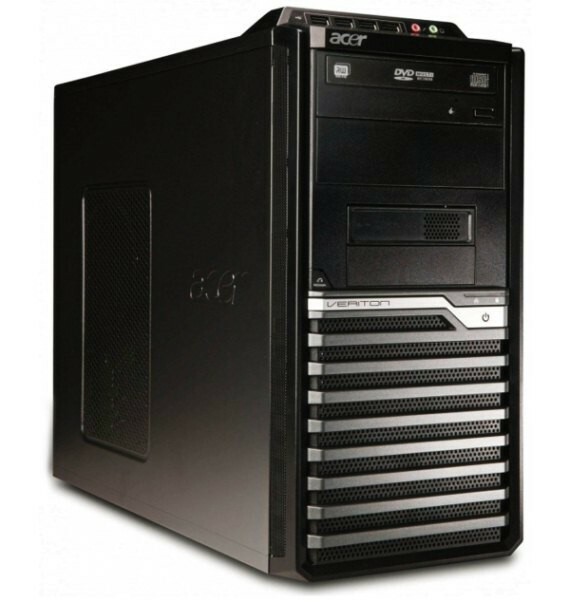 The Acer Veriton M6620G features a 100 percent solid capacitor motherboard design to prolong system life as well as optional inside and outside built-in dust filters to keep the system clean and operating smoothly. My Book VelociRaptor Duo with Thunderbolt now Available!